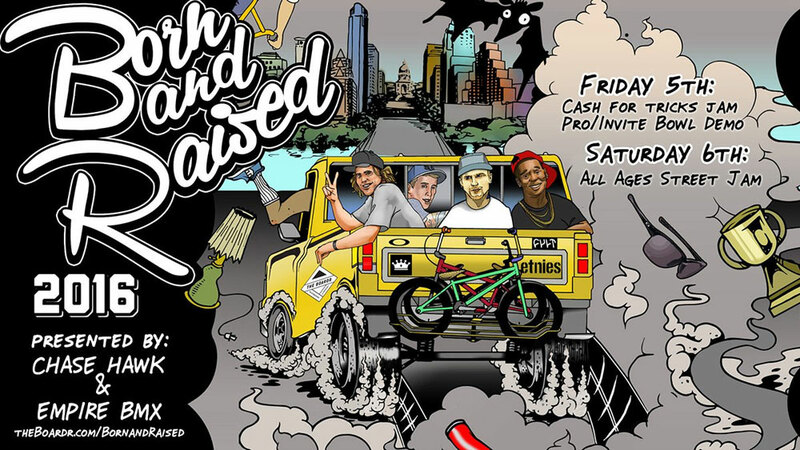 Born and Raised is a two-day BMX event in association with Chase Hawk Day. It will be hot, drink water! Parking will be tough, carpool with friends.